During my day off on a business trip to this east coast Canadian province, I came upon this cemetery and church above a village with amazing Atlantic Ocean views. In this composition, the ocean is way off in the distance. 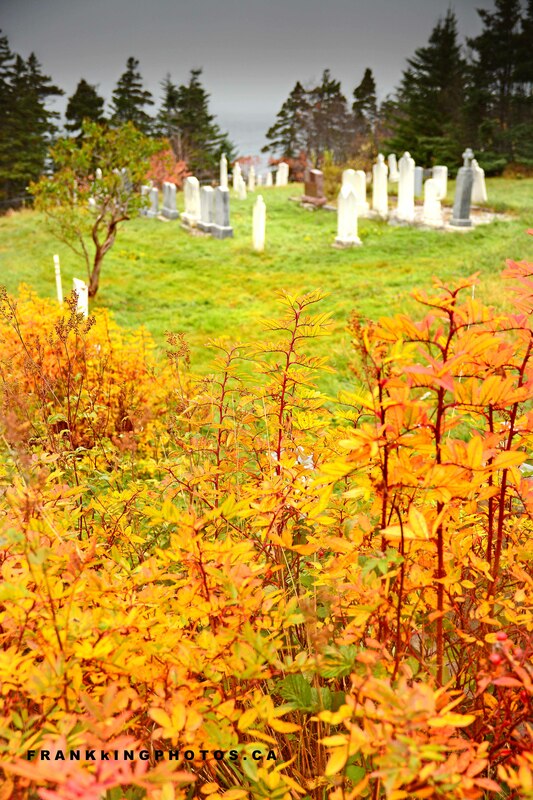 I deliberately went with a very shallow depth of field so the headstones and trees would complement, rather than compete with the last of the autumn colours in the foreground shrubbery. Nikon D7100, tripod, two graduated density (darkening) filters on the trees and sky.